Many people have shaped our career field throughout its existence. The individuals recognized here represent some of those movers and shapers. General Curtis LeMay, was instrumental in modernizing USAF security forces in general and the Strategic Air Command in particular. At the creation of the USAF in 1947, aircraft were normally guarded by security detachments formed from airdrome or air base squadrons. In many cases "guard duty" was a detail or extra duty and not a full-time job, often given out as punishment to underperforming personnel. Security and weapons training was minimal or nonexistent. During his initial inspection of the SAC strategic bomber fleet at Offutt Air Force Base in 1948, LeMay reported that at one hangar he found an Air Police sentry on duty "armed only with a ham sandwich". Despite these problems, LeMay continued to press for improvements in air base and SAC command security, and proposed the formation of an elite Air Police unit in charge of SAC command security at Offutt Air Force Base. 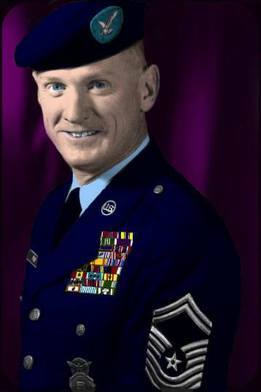 In 1956, after the existing SAC Provost Marshal failed to act with sufficient dispatch in forming the new unit, LeMay replaced him, instituting changes in SAC security force structure that resulted in the creation of the Elite Guard in December 1956. L. Col. 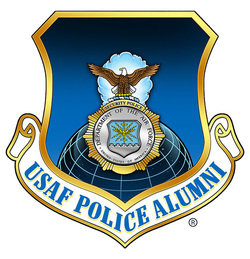 Wise is considered, by those who are aware of USAF Security Police history, to be one of the originators of USAF Security Police Air Base Ground Defense training and tactics used successfully in Vietnam and, currently with updated revisions, by USAF Security Forces world wide. Operation "Safeside" was the prototype which lead to the formation of 1041st, 821st, 822nd, and the 823rd Combat Security Police Squadrons which served with distinction in Vietnam.